As we are entering the summer season, I wanted to share with you some of the things I think are perfect for outdoor entertaining. All of the pictures are linked to places where they can be purchased online if you'd like more information. 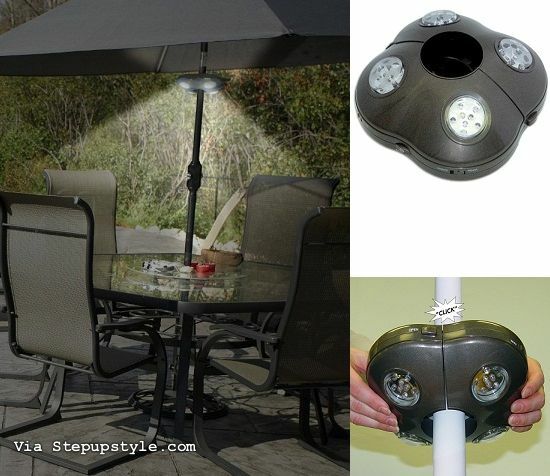 If you like to entertain outside after dark, then you need a Wireless LED Umbrella Light to hang on the underside of your patio umbrella. It clicks right around the pole. The lights are battery operated and provide a nice light source for your party even after the sun goes down. 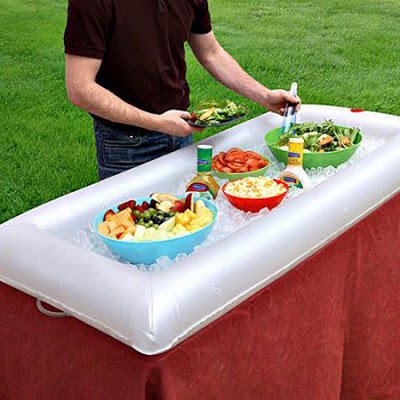 A must have item if you plan on having a lot of cold dishes at your picnic is an Inflatable Salad Bar . It looks like a miniature blow up pool. Put it on a table, fill it with ice and it will keep your salads and beverages cold for the entire party. 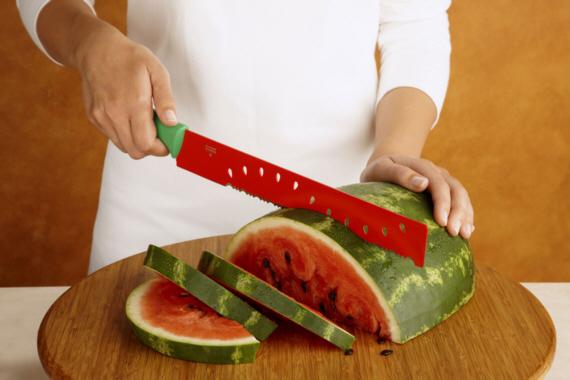 It's a very inexpensive addition to your picnic supplies. 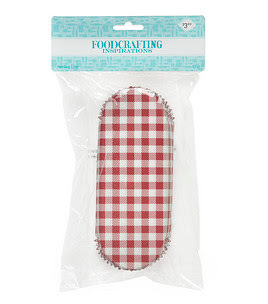 Jo Ann Fabrics right now has red gingham hot dog liners that I think would make for a fun way to serve hot dogs at your summer picnic. The regular price is only $3.99, but Jo Ann's always has a sale going on or coupon you can use. They are available in store and online. They are a cheap way make a common picnic food a little more unique and fun! 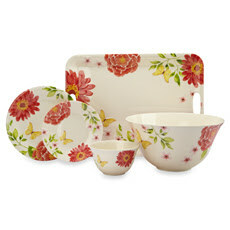 And what elegant summer party would be complete without some beautiful dinnerware? Bed, Bath, and Beyond has a beautiful collection of bowls, plates, and trays available online. I love how bright and summery the dishes are. If you want to keep the bugs away without the unpleasant citronella smell, the Red Canyon's citronella candles are for you. 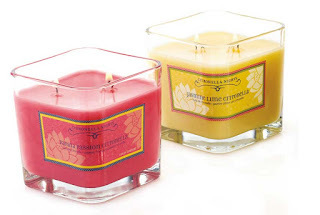 They come in scents like Papaya Passion and Jasmine Lime and are packaged in pretty glass jars. And finally, what picnic is compete without some cooking over an open flame. 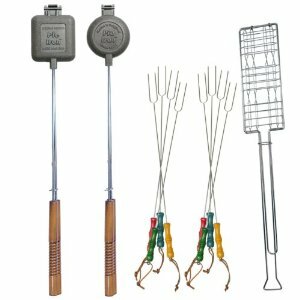 Amazon has a great set of everything you need to cook out...hot dog/marshmallow forks, a s'more maker, and two cast iron pie makers. What a deal! So those are my essentials for this year's picnic season.....Did I forget anything?